Most people think that Craniosacral Therapy is for back pain, headaches or head or birth trauma and other complaints. Although Craniosacral Therapy is usually successful for treating these health disorders this is just the tip of the iceberg. Craniosacral Therapy believes that everyone is born with an underlying infinite order of intelligence or “vital force” energy ( often referred to as” chi” in Chinese Medicine). This is the same intelligence that keeps your heart beating and runs your body. This constant undetectable intelligence is carried by the nervous system to every cell in your body supplying it with all the information it needs to function as planned, every day. Craniosacral Therapists call this innate Intelligence. This is the intelligence that heals the body and is always with you! If every cell in your body is functioning at 100% then you will have optimal health. Unfortunately structural imbalances and spinal misalignments can interfere with the transmission of this innate intelligence, causing imbalance and altered cell formation that in time can create many health problems and disease. 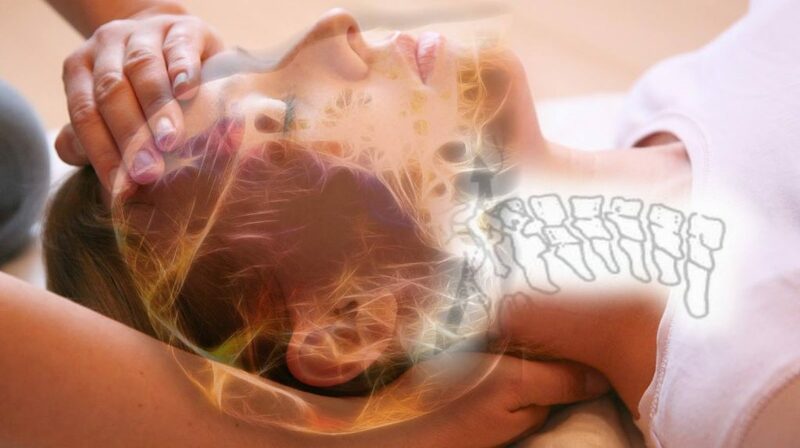 The main job of a Craniosacral Therapist is to help correct structural imbalances in the human body allowing the innate intelligence to go where it needs to go and to restore impeded circulation, alleviate any nerve impingement and thus allowing dysfunctional cells to heal themselves. The power that made your body can heal your body. Craniosacral Therapy helps to turn on your healing power and creates optimal health. Reduction in facial wrinkles from balancing the nervous system, improving blood and lymphatic flow. Craniosacral Therapy is a unique form of bodywork that bridges the realis of both physical palpation and energetic work. The ability of matter to both be solid and a wave of energy opened the door to more scientific studies looking at the energetic system of the body. Looking at the body through the eyes of quantum physics, allows us to see that we are all just condensations of energy. The denser the structure, the more condensed the energy. Bones for example are one of the most condensed energy while our energetic bodies (auras) are sequentially less condensed. The capacity for change and the impact that intention has on our energetic selves has been shown through many experiments. Fascia is organized in much of the body as a double layer membrane system with fluid in between the layers of fascia. This arrangement allows for an exponential increase in the strength of the fascia and for the free gliding movement of adjacent structures. If you view the fascia as two sheets of glass with water in between. Normally the gliding of the two sheets is free and unencumbered. However, if there is a large force applied to the sheets they will adhere together and be almost impossible to separate or crack. Fascia also plays an important role in storing body memories as seen in so many different bodywork therapies and in transplant cases. A consequence of continuum communication is that every process taking place anywhere in the organism produces a characteristic pattern of vibrations that travels throughout the living matrix and distributes regulatory information. The frequency changes every time a cell moves or alters its shape, an organ shifts its functional state, a muscle contracts, a gland secretes, a nerve conducts an impulse, or a cell metastasizes. Transmission of vibratory signals through the living matrix imparts unity of function to the organism. Per the continuum communication model, the living matrix creates a veritable “symphony” of vibratory messages that travel to and fro, altering each part of the organism about the activities taking place in each other part. What we refer to as “consciousness” is the totality of these vibrations. Disease, disorder, and pain arise within portions of the vibratory continuum where information flows are restricted. Restrictions occur locally because of infections, physical injury, and emotional trauma alter properties of the fabric. The entire fascial system is also serving as a pump, distributing the fluids that bathe individual cells and is intimately involved in water metabolism. To reorganize the fascial system is thereby to alter the flow of fluids and therefore the delivery of nutrients to cells throughout the body. 1 Oschman, James and Nora H Oschman. Somatic Recall Part 1. Massage Therapy Journal. Summer 1995 Vol 34, No 3.